This great kit teaches you to make a light medium and dark value of 12 different colors, all out of 3 packets of dye in only 4 to 5 hours! That's 36 different fat quarters! 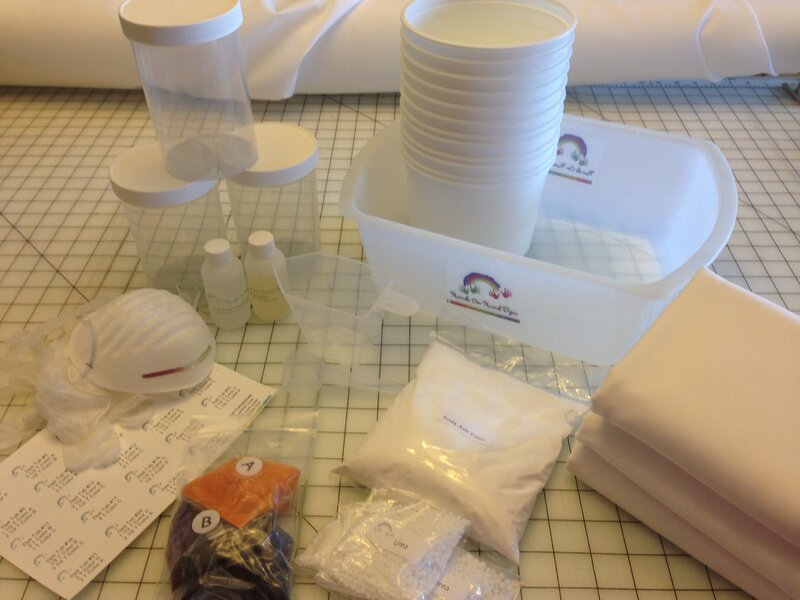 Using the tools from your original Full Spectrum + Value Hand Dye Kit, this refill kit gives you all of the fabric, dye and chemicals, detergent, dust mask & gloves you need to dye 36 fat quarters (9 yards) in about 4 hours for as little as $2.80 each! Using the tools from your original Full Spectrum Hand Dye Kit, this refill kit gives you all of the fabric, dye and chemicals, detergent, dust mask & gloves you need to dye 36 fat quarters (9 yards) in about 4 hours for as little as $2.80 each!